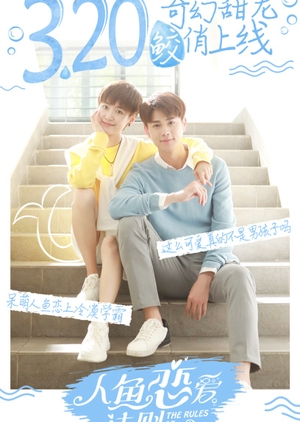 Merperson Yang Luo Tian has always gone as a boy for most of his life. That is until he saved Lie Heng Yu from drowning. When a merperson first falls in love, the equivalent of puberty hits and their body begins to take on one gender. Yang Luo Tian finds his body and mind slowly turning female. To avoid scrutiny over her sudden changes, she switches colleges, only to still pose as a man after being recognized by her childhood friend. She soon ends up roommates with Lie Heng Yu. As if it’s not hard enough hiding her gender from him, she also has to hide the fact that she cries pearls and her scales flare up when her skin touches the water.